Trostburg, enthroned above at Waidbruck in the Eisack Valley, is a ministerial castle dating from the 13th century, even though the name "Trostburg" was first mentioned in 1196. Throughout the 14th and 15th centuries, Trostburg was built upon, mainly inwardly, and was then altered and improved with fortifications and other expansions in the 16th and 17th centuries. 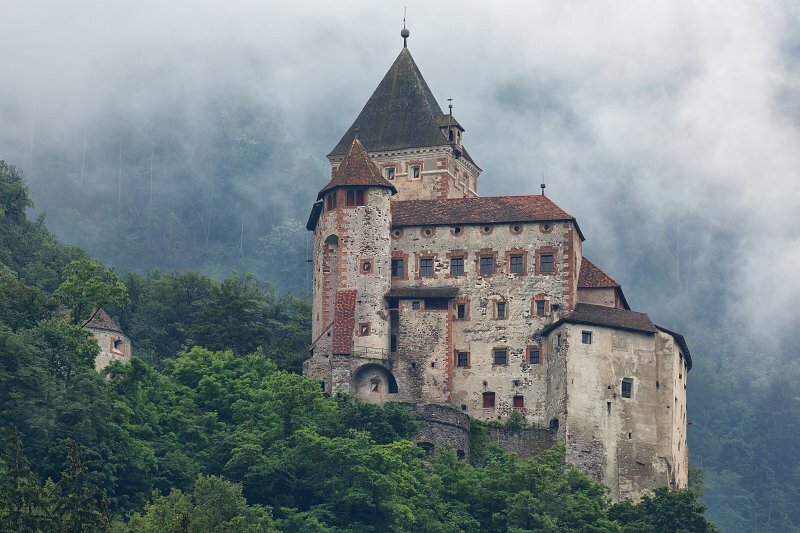 In 1967, ownership of the castle was transferred to the South Tyrolean Castle Association, which has undertaken major conservation and restoration projects in the last couple decades in order to prevent Trostburg from falling into ruin.